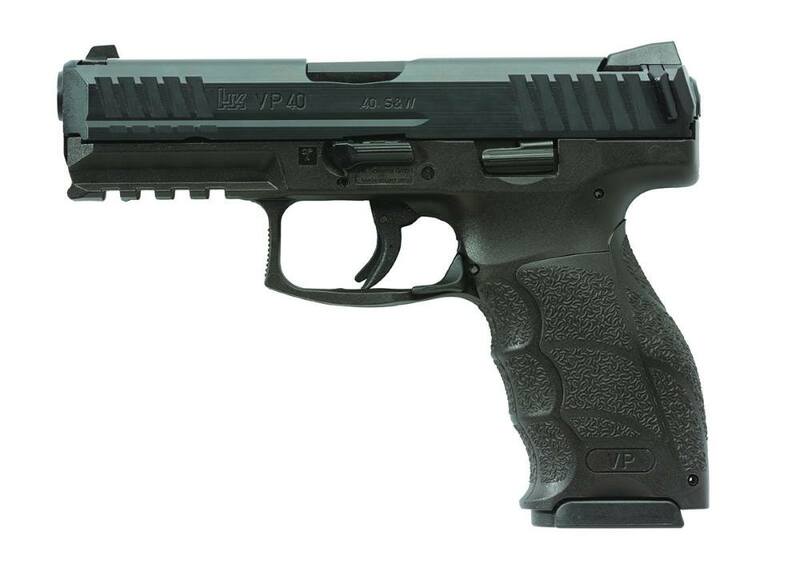 HK® VP SERIES •Black frame •3-dot Standard Sights •Recoil-operated •Browning type, modified linkless locking system •Striker-fired trigger system •Enhanced HK "precise pull" trigger, 5.4 lb. pull •Short, light take-up w/solid single-action type break, followed by short positive reset •Reinforced high-strength Polyamide (polymer) grip frame w/molded, extended MIL-STD-1913 Picatinny rail •Ergonomic custom-fit grip design w/molded finger grooves, plus interchangeable backstraps & side panels •Ambidextrous controls •Cold hammer forged canon-grade steel barrel w/polygonal bore •Corrosion & wear resistant Hostile Environment finished steel slide •Patented HK Charging Supports provides effortless rearward slide racking, easy cartridge chambering & faster reloads •Enlarged heavy-duty extractor also functions as loaded chamber indicator •Red cocking indicator •Low-profile slide release lever •Firing pin block •Trigger latch safety •Limited lifetime warranty •Includes P30 steel mags, (3) interchangeable backstraps & (6) side panels •Width: 1.32" •OAL: 7.34" •Wt. : 25.56 oz.